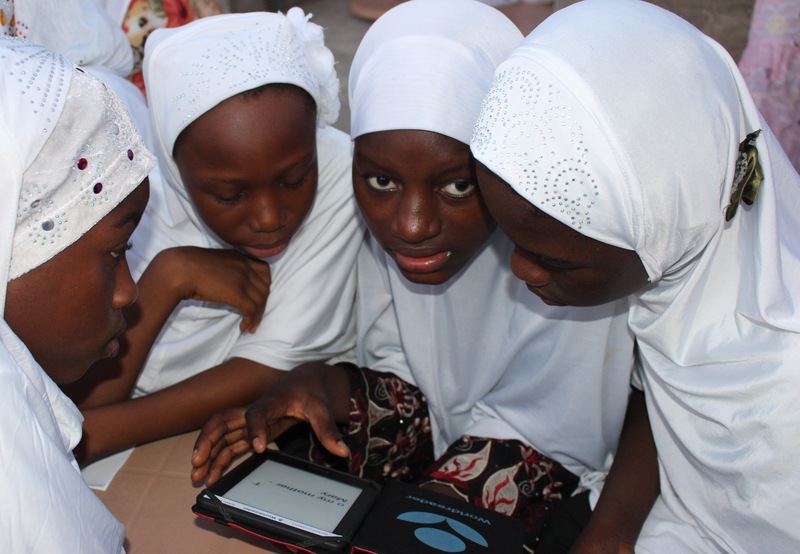 As if sponsoring over 150 girls this school year isn’t enough success story for Achievers, Worldreader’s very first community based e-library program in Ghana has been launched at Achievers. This is not just a library but one that holds 2,500 books (both local and international) on 25 e-readers! 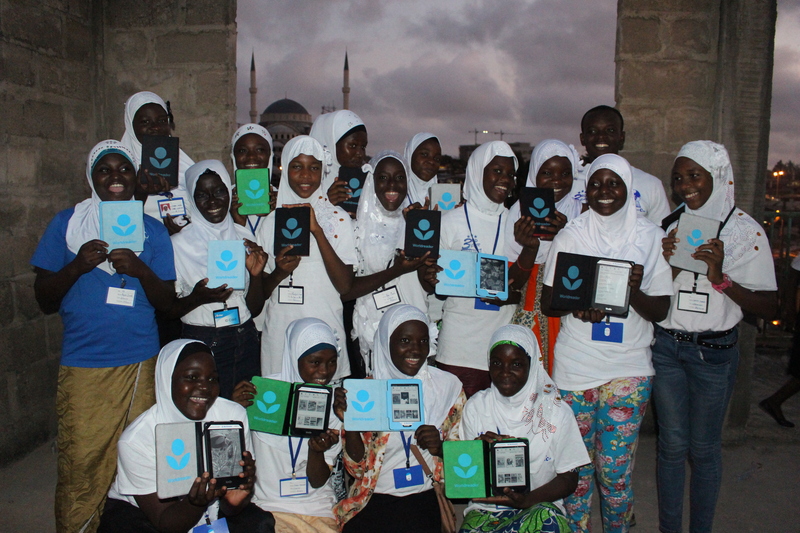 Worldreader currently runs e-reader programs in 10 African countries; Achievers will be their 14th program in Ghana, and the first e-library in West Africa. The entire community was here to witness and share in this significant milestone in Achievers’ history. Besides parents and siblings, Imam Hussein and Chief Mustapha Iddriss were also here to grace the ceremony. 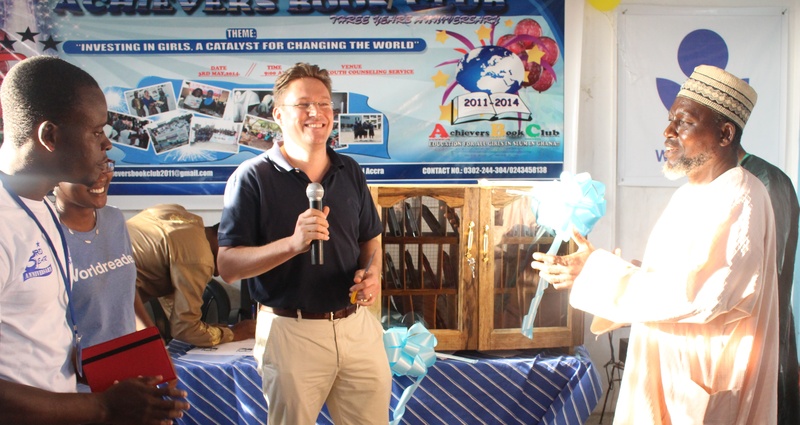 Other invited guests included Jazi Foundation, Cindy & Omar Sherif Captan, Henry Malm and, of course, Worldreader. “I am proud to be a part of this moment,” says Robert Boogaard (co-founder of Jazi Foundation) as he cuts the ribbon to officially inaugurate the e-library. 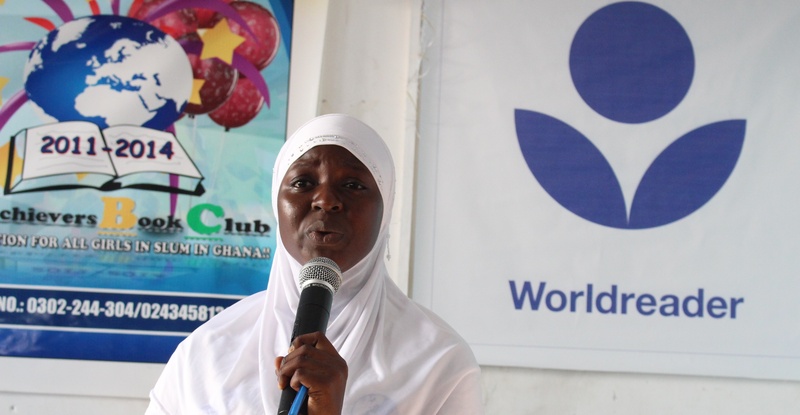 “This marks a partnership between two very wonderful organizations: Achievers Ghana and Worldreader”. 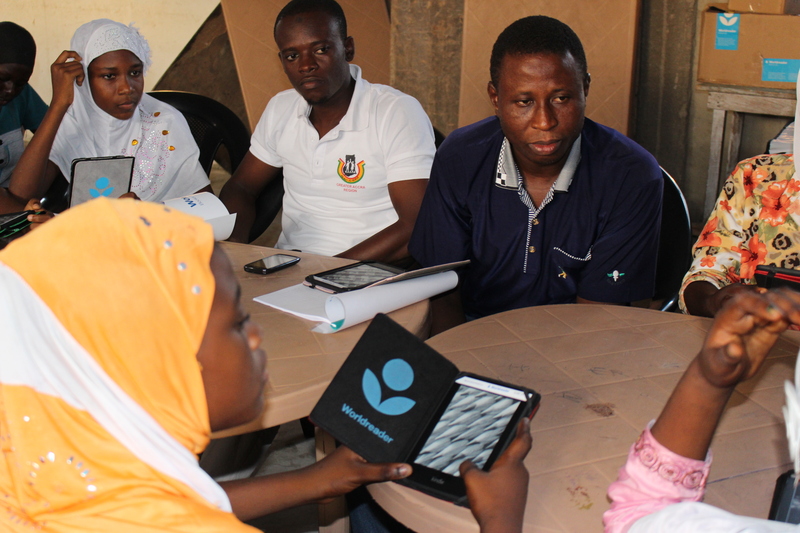 It’s been a very exciting few days for the girls, especially the 16 mentors who have been fully trained by Worldreader, Amadu Mohammad (Achievers Ghana Director) and Iddriss Mohammad to manage and run the library program. These mentors have also had the opportunity to sensitize and show their entire community including their parents and siblings how important this library is going to be. Achievers Ghana is undoubtedly going to set the standards for all future e-libraries in Ghana! This entry was posted in Uncategorized and tagged e-library, e-readers, Jazi, Worldreader. Bookmark the permalink. Achievers and Worldreader, what a wonderful partnership!